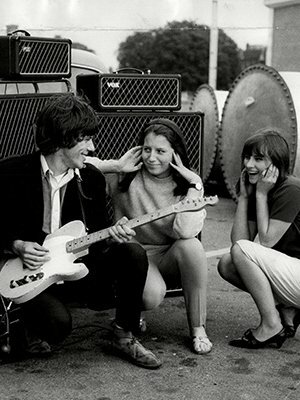 In the current issue of Rolling Stone, Jeff Beck speaks about BECK01, and his enthusiasm for classic cars and music. Rolling Stone explores BECK01 alongside the musician's new album and tour. The magazine calls the book "a lavish, pictorial account of his twin passions for guitars and restoring vintage automobiles", and concludes that "there are fantastic photos in BECK01 of the first Jeff Beck Group with Ronnie Wood and Rod Stuart." During the interview, Beck expounds of the various subjects of BECK01, including his car workshop and a letter he received from the famous jazz composer, Charles Mingus. To find out more about BECK01, click here.